Zimbabwe Newspapers (1980) Ltd has with immediate effect reviewed the cover prices of its eleven newspapers as it seeks to weather the current economic storm, Zim Techreview reported. 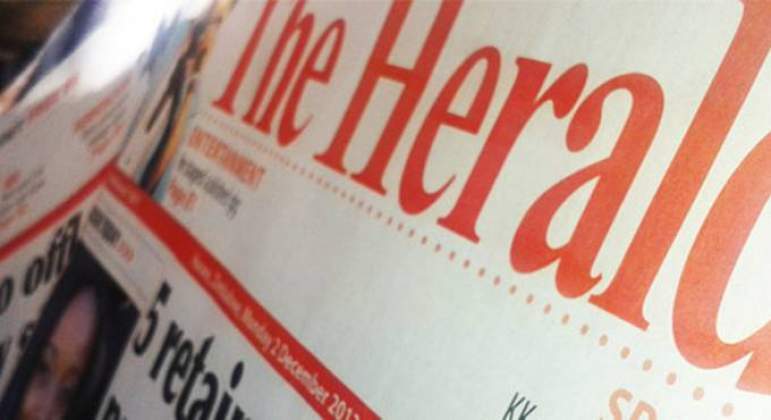 To that effect, the daily newspapers, The Herald, The Chronicle, will now cost $2, while the weeklies, Sunday Mail, Business Weekly and Sunday News, will now sell for $3, the tabloids from Zimpapers namely the H-Metro, B-Metro, Kwayedza, uMthunywa and the Southern Times will cost $1.00 while the Manicaland newspaper, Manica Post will sell for $1.50. 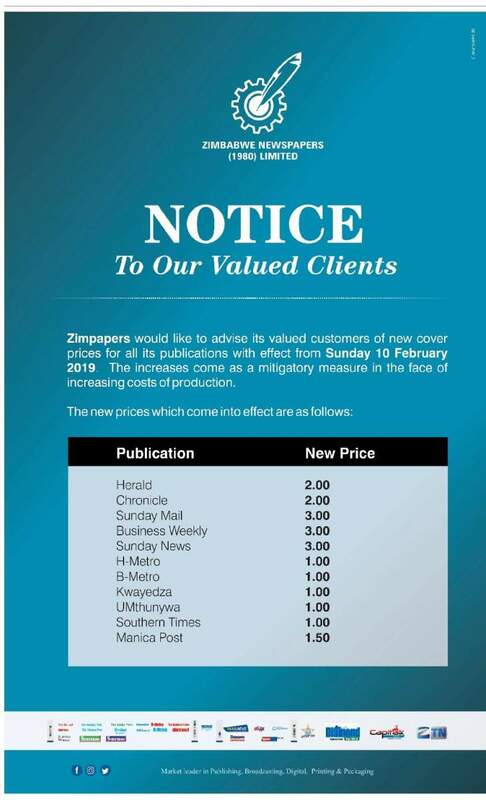 Zimpapers would like to advise its valued customers of new cover prices for all its publications with effect from Sunday 10 February 2019. The increases come as a mitigatory measure in the face of increasing costs of production. Zimbabwe suspends printing of passports due to system malfunction?